CHICAGO (WLS) -- After an extremely violent 2016, this year seems to be on track to be similar. In the city's most recent murder, a man found in the back seat of a car late Monday night was shot and killed about 11:30 p.m. Officers found the 20-year-old man in the back seat of a silver car in the 1600-block of West Monroe Street, police said. The man had gunshot wounds to the head and body and was pronounced dead at the scene. The number of murders in Chicago in 2017 is outpacing the same period last year. Police said there have been 37 murders in Chicago so far this year. Last year, the city saw 51 murders for all of January. There are also reports that show nearly 250 people have been shot so far in 2017. Mt. Sinai Hospital sees some of the worst when it comes to victims of gun violence. "In January, we're seeing a substantial increase from the prior year. I'm very concerned that that trend might continue. 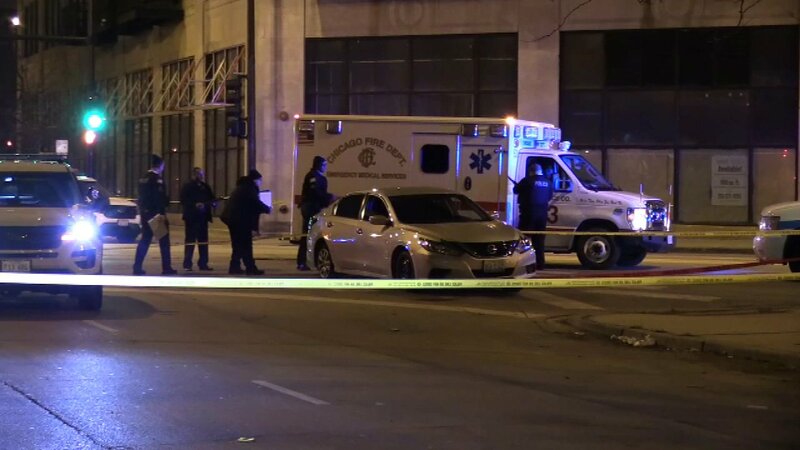 We're seeing a significant increase in our penetrating trauma, mostly GSWs," said Dr. Leslie Zun, system chair for Emergency Medicine, Sinai Health System. That increase has yet to be calculated, since the month is not over yet. Dr. Zun hopes the violent trend to the new year will slow down. "We need to do more. We need to look at other ways to reduce the violence in our community, the gun access," Dr. Zun said. The hospital said in 2015, 28 percent of its trauma cases were primarily gunshot wounds. In 2016, it skyrocketed to 42 percent. Mt. Sinai said it is equipped to handle the high volumes of these cases they are seeing on a daily basis. Police said they will continue to work hard to keep the city safe. Over the weekend, they took dozens of criminals and guns off the streets, after a big roundup. Of the 19 illegal guns officers collected, there were four rifles, three shotguns and four fully-loaded magazines. "These arrests were targeting the guys that are driving the violence and those are the ones we've pulled off the streets," said Deputy Chief Tony Riccio, CPD Bureau of Organized Crime. Superintendent Eddie Johnson said the department will take a targeted approach on crime for 2017, including the use of specific data the department has been gathering, a new push to develop police-community partnerships in Chicago's most violent neighborhoods and increased community engagement. Police said they are looking to lawmakers to help keep violent offenders locked away longer with harsher sentences.